Developed in the late 1970s, the MIM-104 PATRIOT is a surface-to-air missile (SAM) system, used by the United States Army and several allied nations. It is manufactured by the U.S. defence contractor Raytheon and derives its name from the radar component of the weapon system. 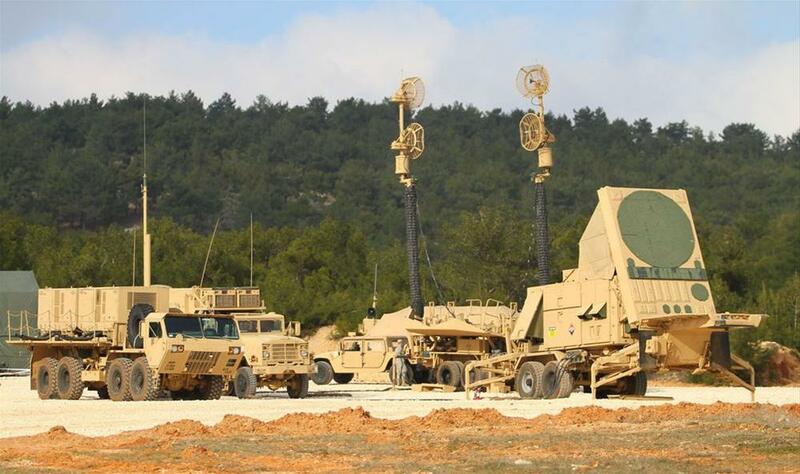 The AN/MPQ-53 at the heart of the system is known as the "Phased Array Tracking Radar to Intercept On Target" or the acronym PATRIOT. PATRIOT was used initially as an anti-aircraft system, but during 1988, it was upgraded to provide limited capability against Tactical Ballistic Missiles (TBMs) as PAC-1 (PATRIOT Advanced Capability-1). It was used successfully in Operation Desert Shield/Storm (‘90/’91) to shoot down both SCUD missiles and enemy aircraft protecting US and allied forces in Saudi Arabia and Israel. Based on this success, it was further developed to be very effective against ballistic missiles. The most recent upgrade, called PAC-3 (MIM-104F) is a nearly total system redesign and was intended from the outset to engage and destroy TBMs. PAC-3 has reduced the size of the missiles so a single canister can now hold four PAC-3 missiles, as opposed to one missile per canister in earlier versions. The PAC-3 missile is also more maneuverable and more lethal than previous variants. 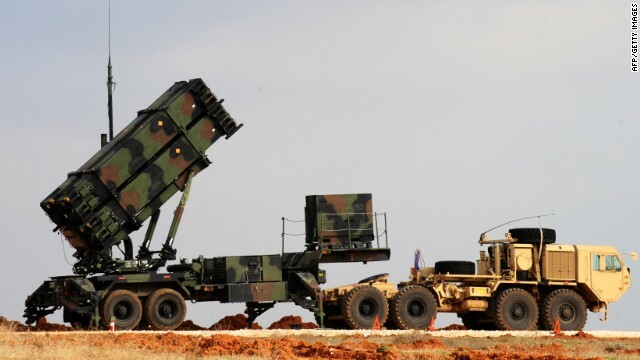 The PATRIOT system was first fielded in 1984 and is expected to remain an active system until at least 2040. It is used by most NATO countries and US allies around the globe. Dragon Models continues their PATRIOT system series of models with this kit of the latest version, the MIM-104F PAC-3 launcher. The kit comes in a very large box which includes a whopping 20 sprues of gray plastic with no visible flash. It also includes 4 tires in DS styrene, a length of braided wire, and very packed small decal sheet which includes markings for one US Army launcher from 2 Bn, 43 ADA Regiment, Iraq, 2003 and one Japanese Air Self Defence Force launcher from 4th Air Defence Mobility Group, 14th Air Defence Mobility Squadron, Summer 2015. The instruction sheet is the typical Dragon Models sheet with blue and black line drawings of the kit which are crowded, but readable. They have the numbers clearly shown with lines for easy placement of parts. The instructions cover the build in 15 steps. There are no PE frets included, more on this later. Dragon Models continues with their practice of adding, deleting, or swapping sprues from other kits to build different versions of their models. The extra (not used) parts left on the sprues are plentiful. You will have one almost complete sprue (only two axles used) from the M983 truck from their MIM-104B truck/launcher PATRIOT kit left over. There are also various pieces to the truck and parts from the PAC-1 (MIM-104B) kit as well. Step 1 begins with constructing the trailer frame. You add frame rails and a decking piece, along with constructing the landing legs for the trailer. There is the option to build the legs either folded up as it would be connected to a truck or if the large outrigger legs are down, or down as if the trailer were disconnected and standing on its own support legs. Be careful here, I had to hold the two halves of the trailer with clothes pins while it was setting up. I still had some big gaps under the top deck. Thankfully, they are pretty much hidden once you add all the storage boxes and accessories. Step 2 continues the trailer with the rear axles, springs, and some storage boxes attached to the underside of the trailer. Be careful with the axle assemblies, they can be tricky and need to be level and square, especially if you are building it with the wheels sitting on the ground. Step 3 adds the walkways around the trailer and the braided wire safety railings around the walkways. A note here, the walkways on the actual launcher are open mesh. Dragon has molded them out of plastic with a mesh pattern on top and flat, solid bottoms. The mesh is not open. These parts would have been perfect to supply in PE, as Trumpeter does in their PATRIOT kit. You also add the rear fenders and a couple more storage boxes to the trailer in this step. Also, be careful cutting the braided wire, there isn’t much extra once you cut all the pieces. The old adage,”measure twice, cut once”, definitely applies here. Step 4 adds more of the plastic mesh walkways and support bars. You also construct the large outrigger support legs here. These too can be built in either the up (stowed) or down (deployed) positions. To assist you here, Dragon includes two small angled pieces (G42) to be used as a guides to set the angle on the legs in the down position. This is a handy gauge and makes setting the legs up pretty easy. Dragon actually designed the legs quite nicely. They can be set at any angle between full up in the stored/travel position to the fully locked down/deployed position. They do this by having the worm gear slide in and out of its shaft like a piston. The only down side is that the hinge points are not secure and just press fit into their slots. This allows you to set the angle, and then glue them solidly in place. However, they are not movable, but positionable. You could drill and pin the hinge points if you wanted them to be workable. You also build and add the tires. Another nice touch here is that there are air brake cylinders for each wheel included. On the tires, the DS tires are nicely molded with good definition on the tread pattern. The outer wheel halves (F16) are very loose in the tires though. They required a couple coats of thick liquid glue to fill in the gaps. Steps 5 through 7 builds three boxes. They are two launcher control boxes, with the option of open doors to show some instruments inside, and the 60K generator. The boxes build without issues. There is one issue with the parts numbers though. In step 5 you use four lifting lugs on the control box numbered I24. In step 6, you build the another similar control box and again it calls for four lifting lugs numbered I24. The issue is there are only four I24 parts. However, on the F sprues are eight identical lifting lugs numbered F5. You need to use four of the F5 lifting lugs in step 6 instead of four I24 parts. Step 8 constructs the launcher erector base. There were no issues assembling these parts. Some cleanup is required though as there are a lot of injector pins on the base and other parts to allow them to be molded in large sections. Step 9 brings the above erector base together with a turntable and hydraulic pistons to complete the erector mechanism. There are also a few other small boxes added to the erector and turntable. It is not a complicated construction, but even though not indicated, you have to decide here if you want the launcher raised in a firing position, or in the stowed position. Again, the hinge points for the erector pistons are not secure and must be glued in place as they are not movable, but positionable. So even though the directions say not to glue the pistons (G33) into their shafts (G1, G2) nor the hinge points, you have to glue the ends of the pistons and shafts where they connect to the launch rack in place, negating the non-glued piston and hinge points, and locking it all in place. You could drill and pin the piston hinge points if you wanted them to be workable and the erector movable though. Steps 10-12 construct the missile containers. There are a lot of parts here, but they go together without issues. There is a nice feature here where one of the containers can be built with a missile in flight, exiting the container. This looks pretty cool and is how I will depict it. These steps are done 4 times to build the 4 containers. Only one should be built with the missile exiting it though. There is also a very nice diagram here that shows where all the decals are placed on the missile containers. Each container has a bunch of decals on it, so go slow with them. Step 13 builds a rear support member and storage tube. They went together easily. Step 14 joins the erector mechanism to the base turntable that attaches to the trailer frame. You also add the missile containers and a multi-piece antenna. Step 15 finishes the build by attaching the erector unit (with missile containers) to the trailer. You also add the two control boxes and generator that were built in earlier steps. The directions list the option here to pose the launcher in a ready to fire position, or in the stowed position. However, as we saw in step 8, it has already been glued in whatever position you want to display it in. The last step is the unnumbered Paint and Markings Guide. It shows decal placement and paint callout for the US Army and JASDF versions. There is also a short paragraph giving guidance on how to properly apply the decals. This decal guidance leaves out a crucial final step; seal the decals with a quality gloss or clear coat to make them permanent. Overall this is a good kit. It is impressive when done and has some very nice features (such as the positionable legs). There are a few downfalls such as the solidly molded walkways. It looks very nice when finished and represents the Patriot PAC-3 well. Dragon has done an adequate job on this kit. I recommend it if you are looking for a decently detailed kit that isn’t too difficult to build. Highs: The missile containers are very detailed. The generator and cables enclosing it are very nice. The design of the worm gears on the landing legs are a nice touch and will allow them to be shown in any position. Lows: The non-movable parts for the legs and launcher would have been better if they were pinned and allowed for you to pose it in whatever position the builder wanted. The solid molded walkways would have been better if done in PE. Verdict: Overall a very nice kit. It is impressive when done and looks good. I recommend it if you are looking for a nice kit of the PATRIOT PAC-3. This should be a winner for Dragon. What other vehicles or troops would you expect to find close or at least in the vicinity of the launcher? Infantry? Short range AA? Engineering vehicles? Would the radar be close, or would they be placed away from each other? There would not usually be engineers, armor, artillery, or infantry around the launchers. They are usually deep in an airbase or some other rear area. They are not front line vehicles. Here are typical launch site setups. Radar and Command and Control vehicles in the center. Launchers dispersed around the outer ring. Note the tractors disconnected, but close by in case they need to move the launchers quickly. You could see some MPs or other security force near a SAM site, but on the perimeter. More permanent airbase defense site. Launcher with disconected truck, but close by at the ready. Thanks! Great info and great pictures! Hummers, trucks and the radar installation as well then. Will need a large table for a diorama... Our system is a bit different. We usually have specialized personel to defend installations like this. I finally got around to painting the PAC-3. It still needs to be weathered, but here it is in paint. Very nice....love the mix of and and 3 color camo. Now we need cotton smoke with yellow and orange LED lights!!! Rounds Complete!! Thanks Mike. I do eventually plan to add the smoke and such...eventually.